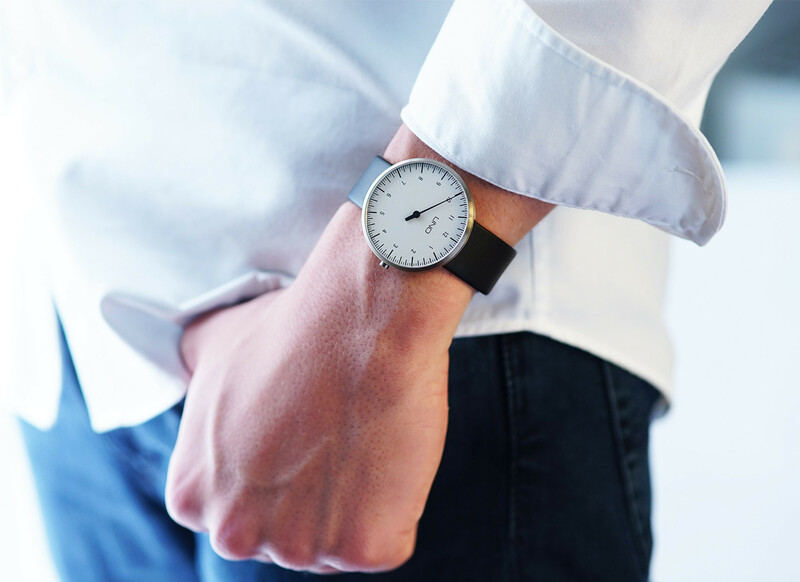 The UNO Titan one-hand watch is the new, smaller 40 mm version from the UNO series featuring a titanium case and high-quality Swiss-made quartz movement. Its one-hand display principle is still exactly the same as that used in the original UNO invented by Klaus Botta in 1986, however. 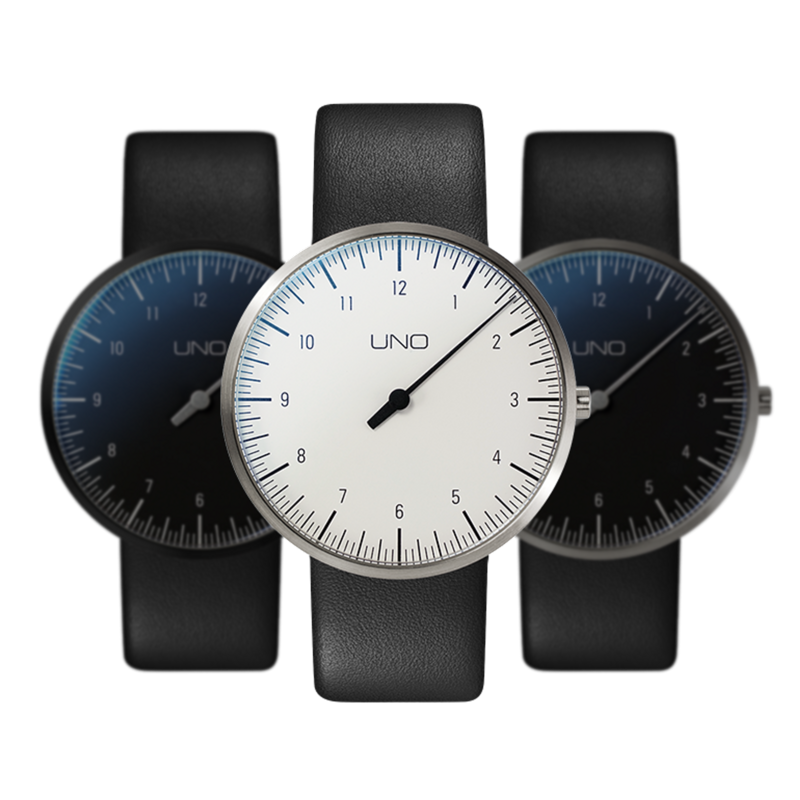 "It seems that perfection is attained not when there is nothing more to add, but when there is nothing more to remove.” The UNO Titan model is the perfect application of Antoine de Saint-Exupéry’s aphorism in practice. With a diameter of 40 mm, it is the smaller and considerably lighter titanium version of the UNO+. The strap lugs are concealed beneath the case to save space. 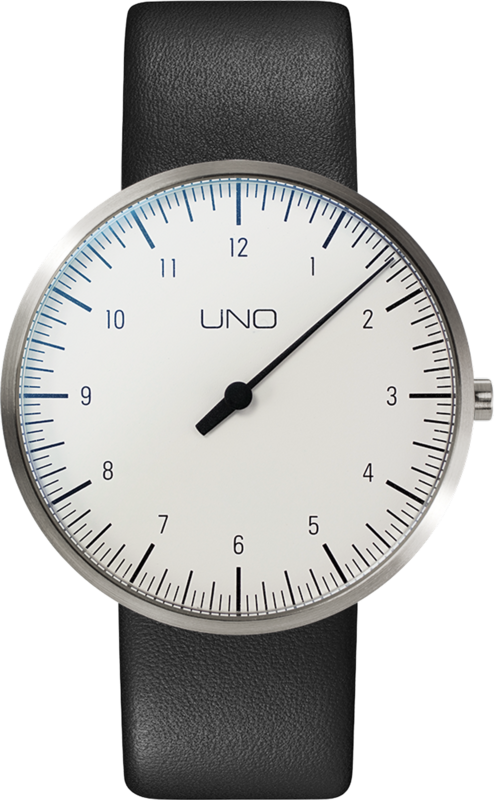 Despite its generous diameter of 40 mm, the UNO Titan can therefore also be worn on very slim wrists. The sloped sides of the underside of the case allow the wrist much more freedom of movement, while at the same time enabling the air to circulate better. 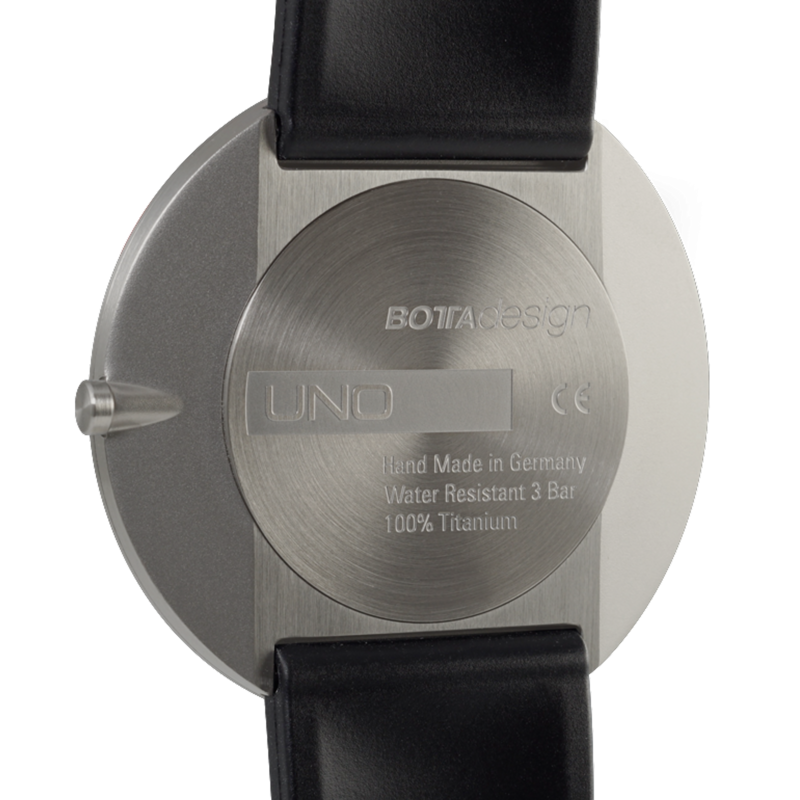 The UNO Titan one-hand watch from Botta-Design is driven by a Swiss-made Ronda quartz movement. Unlike the much cheaper “Swiss-parts” movements, the components in this movement are manufactured and assembled entirely in Switzerland. The UNO Titan White Quartz will be shipped 0. Until then, the model can be pre-ordered at a discount of € -448. Shipment will be on a first come, first served basis.